IIT Institute of Design (ID) continually shapes what design is, and what it can be. It focuses not just on design itself, but the impact it has on the world around us. It instills the courage necessary to discard stagnant thinking and take action that changes systems, surfaces opportunities, and solves complex challenges. This is ID. Founded on the belief that design connects and enhances every aspect of life, building toward a more sustainable future. Founded 80 years ago in Chicago as the New Bauhaus by László Moholy-Nagy, in order to “ensure … society has access to the maximum use of constructive abilities for its benefit,” ID is a graduate-only professional design school in North America. 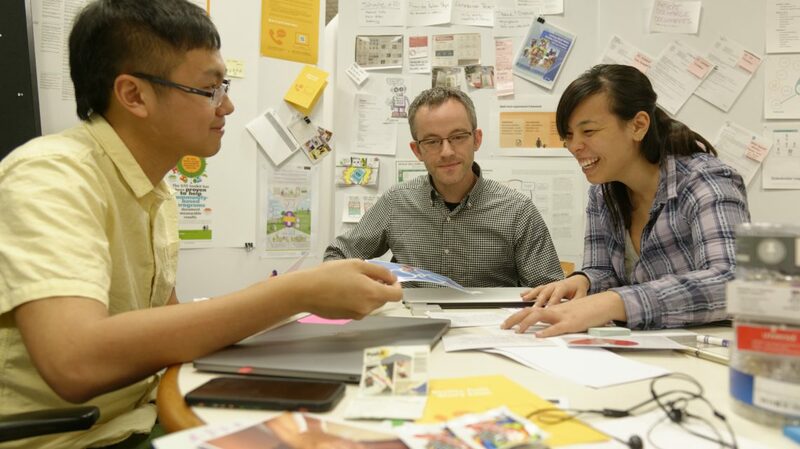 Grounded in human-centered design and systems thinking, ID offers leading Master’s and PhD programs in design and design-driven innovation and develops pioneering thinkers and interdisciplinary problem solvers who navigate and facilitate change across complex systems. Since its inception, ID — through deep understanding of method and theory, paired with hands-on application in real-world contexts — has developed strategic, professional designers who are ready and able to lead. ID is preparing the next generation of professional designers to be thinkers who can navigate, design, and facilitate change across complex systems. Our 2,400+ global alumni of our Master of Design (MDes), Master of Design Methods (MDM), and PhD programs are consultants, entrepreneurs, design strategists, user experience leads, and design researchers in consultancies, start-ups, Fortune 500 companies, nonprofits, and government organizations. We offer mid-career practitioners, executive leaders, functional area teams, and entire organizations the opportunity to gain new insight and perspective on what’s possible in their fields. ID is partnering with major business, community, and government organizations to apply design-led approaches to develop innovative solutions. Industry sponsors, such as Fidelity Labs, Eataly, Memorial Sloane Kettering, Motorola Solutions, Far Eastern Group, and American Family Insurance, turn to ID faculty and classes for fresh thinking on emerging opportunities. Our Chicago Design Lab gives faculty and students the opportunity to apply design theory and methods and experiment with new approaches by taking on real-world challenges. Recently we’ve partnered with governmental and civic organizations such as the American Bar Association, UChicago Medicine, The Cook County Sheriff’s Department, the New Orleans Police Department, Milano Politechnico, The Chicago Mayor’s Office, and Calumet Collaborative. ID is elevating design as a professional practice and contributing to its impact. As a result, we are serving as a champion of interdisciplinary problem-solving. Design Intersections is our annual thought leadership event, exploring design in relation to other practices. In 2018, our focus is Design + Data + Behavior. Our work results in new methods and insights that expand how we think about design.